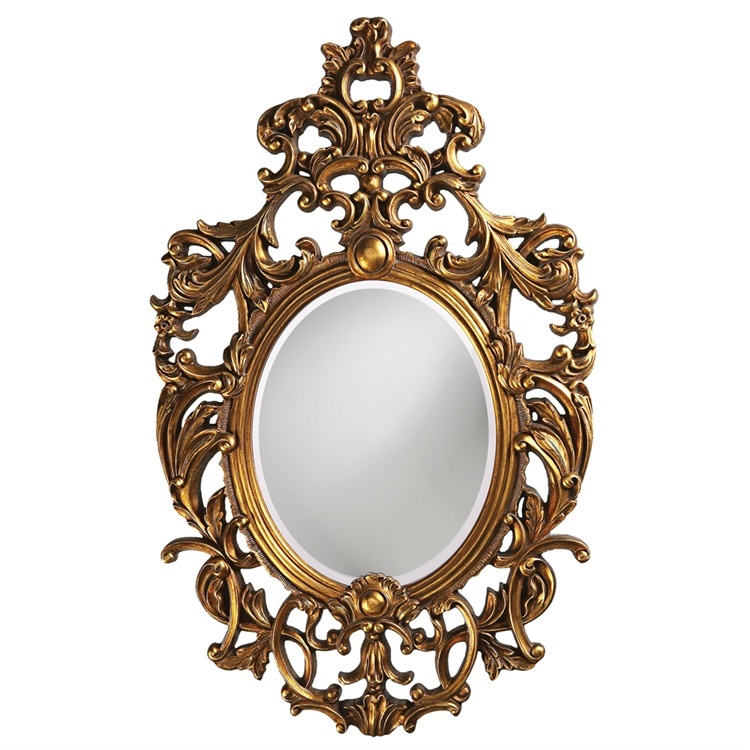 The Dublin Mirror features an ornate mirror stylized by an array of open work scrolls and flourishes. It is then finished in a brilliant museum gold leaf adding to its richness and style. It is a perfect focal point for any design. The mirrored glass on this piece is beveled adding to its style and beauty. Customizable for larger orders.